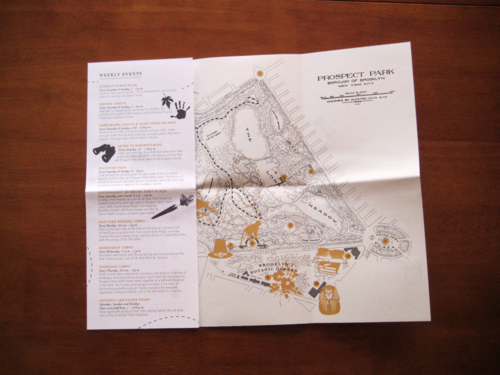 As part of my publication design course, I was assigned to design a monthly events brochure for Prospect Park Alliance advertising and informing local borough residents of the activities being held around the Park in May. 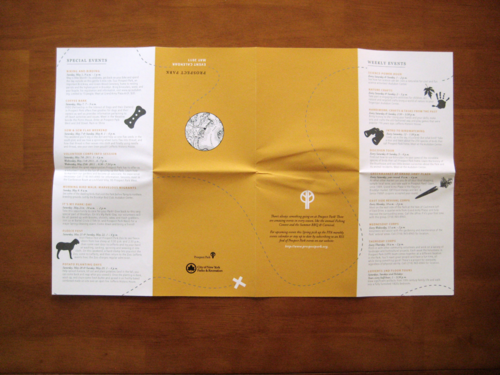 The following requirements were given for the brochure: it must be able to be produced without a large marketing budget, must only use grayscale and 1 additional color, must be easy for the user to read and carry, must compete visually against all other flyers / printed media, and be presented in a form different than the traditional grid calendar. 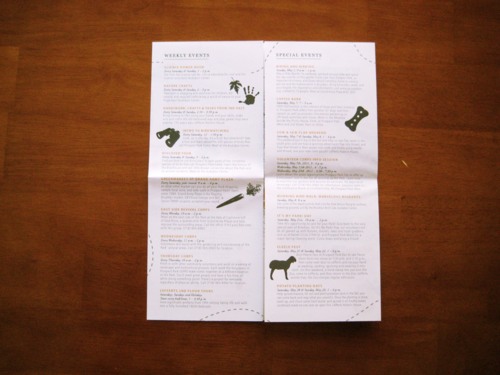 My concept for the event calendar was a treasure map. 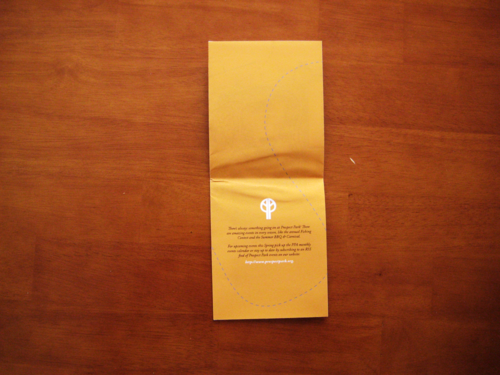 This concept supplied the visual direction for the project. 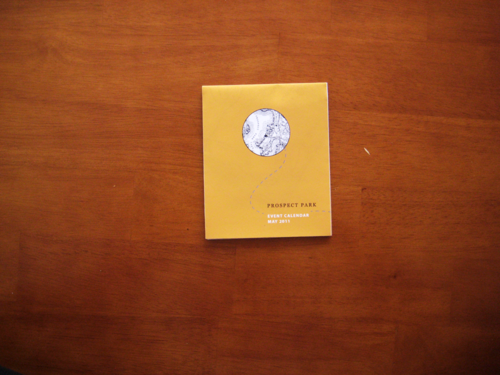 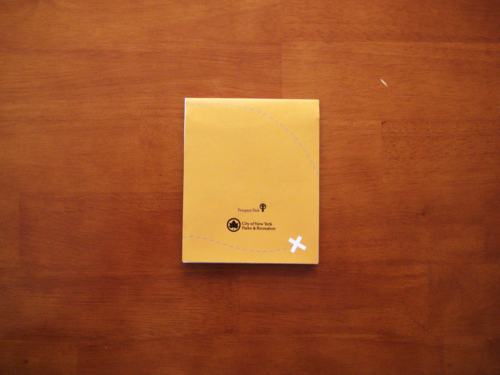 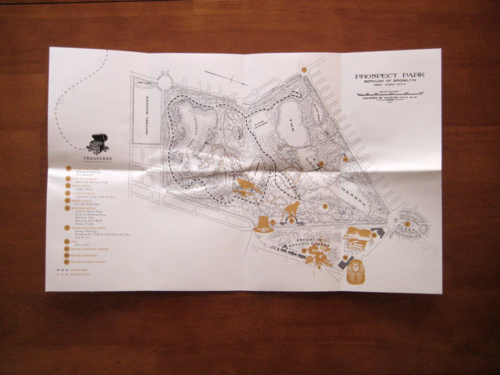 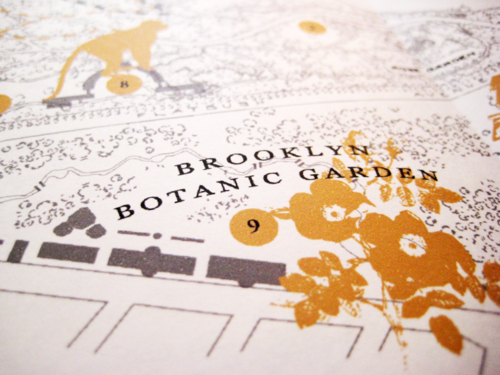 The result is a brochure with a warm, clean, eye-catching cover, that folds out into an organized lists of events, and further folds out into a map of the park highlighting the “treasures” of the park and surrounding area.